James Kousouros is the founder and principal of the Law Offices of James Kousouros. His career began in 1985 after a coveted clerkship at the Appellate Division, Third Department in Albany, New York — where he was responsible for writing draft opinions for the Justices on a wide array of cases. After completing his clerkship, Mr. Kousouros served as an Assistant District Attorney in Bronx County. Thereafter, over thirty years ago, he opened his criminal defense practice. Since then, Mr. Kousouros has handled thousands of criminal matters in the state and federal courts throughout the United States. Mr. Kousouros’ exemplary legal representation has earned him the highest of accolades from members of the federal and state judiciary, as well as from prosecuting authorities and defense attorneys alike. Mr. Kousouros makes it a practice to maintain strong working relationships with his adversaries. He does this not only because he places a high value on professionalism and respects his adversaries as colleagues, but also because he knows that those relationships—together with his reputation as a formidable advocate—translate into better outcomes for his clients. Mr. Kousouros represents clients every day whose lives, liberty, businesses and/or jobs are at risk. He knows that the prospect of losing one’s freedom or professional license or employment is a daunting and often traumatic one. He believes that he and his firm have a responsibility to work relentlessly and indefatigably in order to ensure that all avenues are explored, and every opportunity seized in his client’s defense. His daily attention to that belief reflects his mission: to obtain the best resolution possible for each and every one of his clients. Mr. Kousouros is admitted to practice in the Eastern, Southern, Western and Northern Federal District Courts of New York , as well as in the Federal Circuit Courts of Appeals for the First, Second, Fourth and Eleventh Circuits. 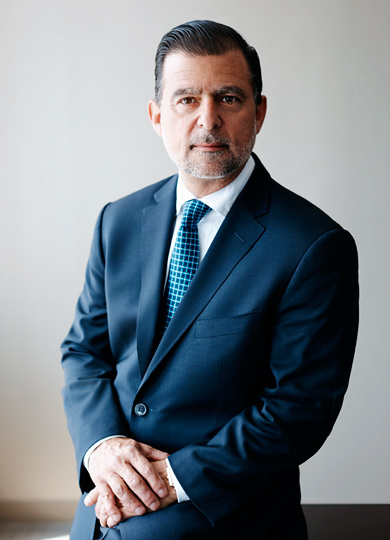 He has also represented clients in the Federal District Courts of Virginia, New Jersey, Connecticut, Pennsylvania, Maryland, Washington D.C., North Carolina, South Carolina, Florida, Puerto Rico, Texas, Arizona and California. In addition, Mr. Kousouros has assisted clients in the courts of France, Greece, the Republic of the Philippines, Canada, and Cyprus.